A Traditional looking gatefold card in a predominately lilac colour scheme. 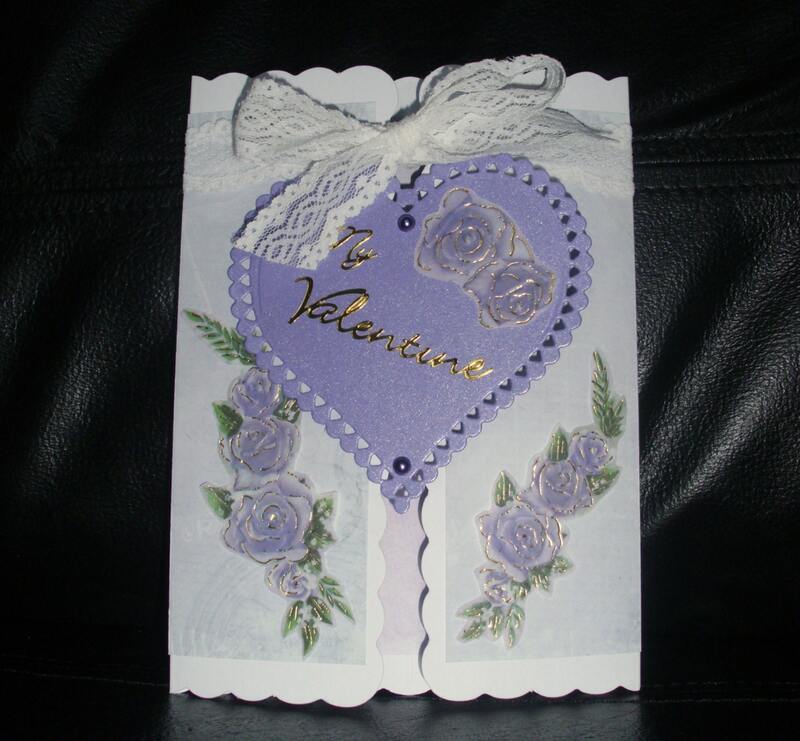 A white scalloped edged card is covered inside and out with coordinating papers attached to the left side is a large lilac pearlised card heart decorated with vellum roses and golden lettering spelling out "My Valentine" further vellum roses decorate the lower half of the card. The card is finished with a generous white lace ribbon tie. A luxury card for your sweetheart. Inside the card in golden lettering is the message "With all my love"